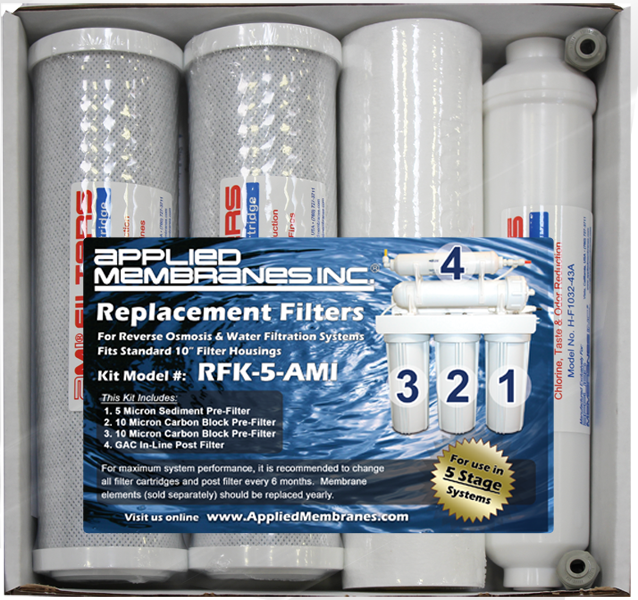 RO Water Filter Replacement - Home Reverse Osmosis Systems | Applied Membranes Inc.
AMI offers pre-packaged kits of replacement filters for Reverse Osmosis and Water Filtration Systems. 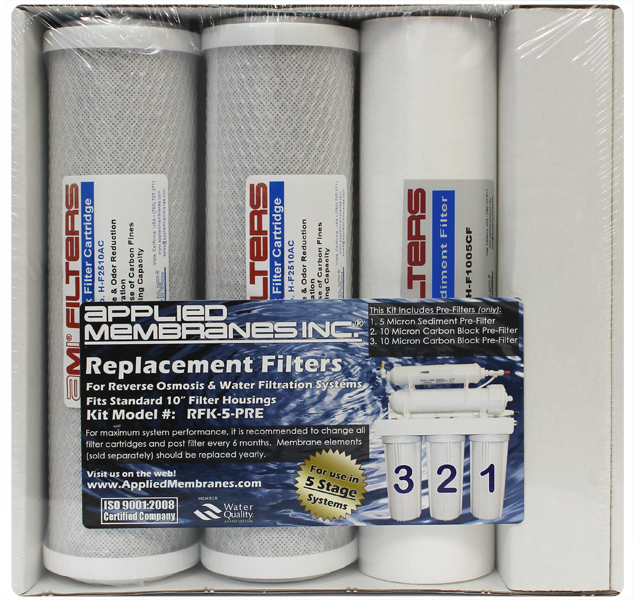 These kits are attractively packaged for retail and are shrink-wrapped to protect the filter cartridges from dust. 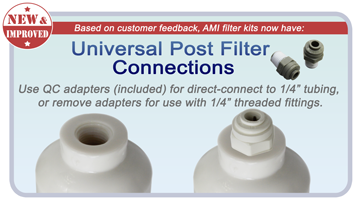 Available with complete 5 stage filter replacements or pre-filter only options. (membranes are sold separately). For use in 5 Stage Home RO Systems using standard 10” filter housings. For maximum performance, it is recommended to change all filter cartridges and post filter every 6 months. Membrane elements (sold separately) should be replaced yearly.